When a mistake generates a tile: That could be the title of my tile. But I don't say where the mistake is or was. lol. And anyway there are no mistakes in Zentangle. As always it was fun to work with a new pattern. Correctly stated; there are NO mistakes in Zentangle LOL. Very nice tile and the bit of orange really makes it pop. Like how you played with this and created the different tangleations. Nice job. Like the touch of color. I like it. I wish my mistakes worked as well. Nice job. Very nice, very dimensional, too. Das sieht wirklich sehr schön aus! Mir gefallen die Variationen von Camelia! Wunderbar auch der Hauch Orange! 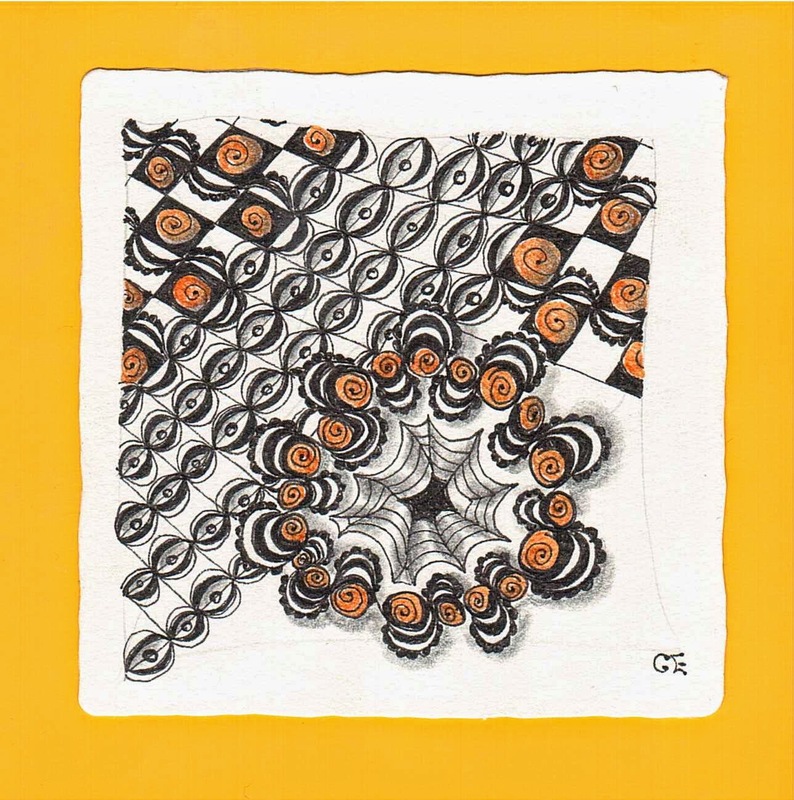 Und ja ... bei Zentangle gibt es keine Fehler! Wichtig ist, dass es Spaß macht!